Sharpless 2-135 is a faint emission nebula in Cepheus. This is a 6 hour exposure over 3 nights, August 28-30, 2014 under varying sky conditions. 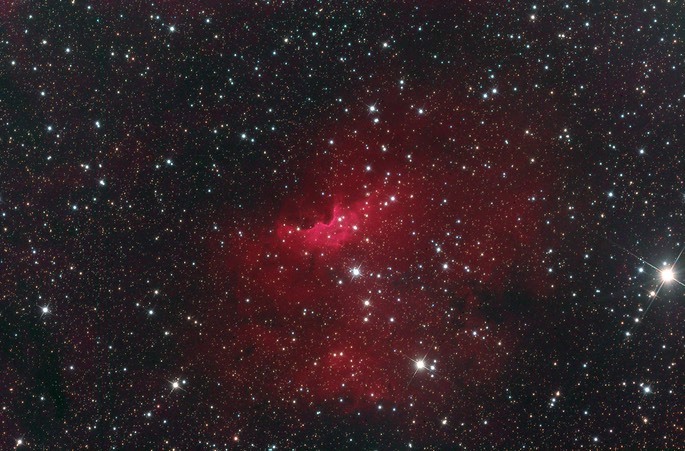 The image is an LRGB image with 90 minutes of h-alpha blended into the red and blue channels. Click on the image for a larger view. The imaging sessions were under the control of the CCDAutopilot software.